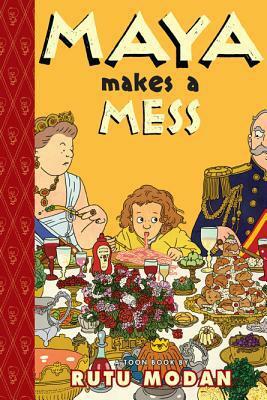 If Maya Makes a Mess was nonfiction, if author Rutu Modan had created an illustrated account of a real Maya’s actual dinner manners, than this book would document the greatest achievement in childhood dinner manners in the history of children, dinner, or manners. So she does. And everyone notices. Including the queen. But Maya is not thrown in jail, as she thinks might happen. Instead the queen does something drastic: She talks to Maya. She asks questions. She listens. Most amazingly, she trusts Maya. In the end the queen makes an announcement. It’s an amazing, Maya-inspired, dinner-eating command that is embraced by every Duke, Princess, Countess, and Duchess in attendance and justifies every ketchup-fingered young dinner-eater around. My latest column is mostly not mine. After my brief introduction is an actual thank you letter from my wife's cousin, Mark, to their grandmother ten years ago. My wife’s grandmother recently passed away, and in going through some paperwork, my mother-in-law discovered an envelope, addressed simply to Grandma H., in amongst Grandma’s important documents. The envelope held a thank you letter Grandma received from cousin Mark nearly ten years ago. The letter illustrates three things. First, thank you letters hold great importance--Grandma kept this one for nearly a decade. Second, never underestimate the importance of a good laugh even during the most trying times. 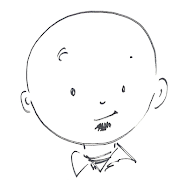 And third, cousin Mark could take my job writing this column. We enjoyed numerous rereadings last week on family vacation, recalling Mark’s days as a graduate student, and he graciously gave me permission to share the letter, unedited. I hope it brings you some of the same joy it brought Grandma these past ten years. I thought I’d write you a letter to see how things are going in Wisconsin. Of course, I wish that I had some wonderfully entertaining tales from Florida to share with you, but I’m afraid that would entail using an imagination. Unfortunately, I think that I’ve been in school a sufficiently long time for them to train every bit of imagination out of me. Reality, meanwhile, is far less amusing than wonderfully entertaining tales from a tropical land. In fact, I do believe that a recounting of my exam experience today would more properly fall into the category of “Tragedy in the Swamplands,” and even that makes it sound more interesting than it was. As of yet, I don’t believe that I’ve properly thanked you for the Christmas money. In the spirit of doing nothing at the right time, let me now, on the 24th of February in the year 2003, thank you for the Christmas check. With part of that money I recently purchased a new seat for my bicycle. It seems that bicycle seat technology has changed in the mere 6 years or so since I bought my bike; my old seat was more or less shaped like a wedge, while this one is designed to “reduce pressure points on soft tissue areas” -- precisely the weight-supporting areas with the wedge seat. Of course, the alternative way of describing the newer design if one was, say, writing to someone other than one’s grandmother, would be to “lessen pain where you don’t want it and consequently decrease the probability of impotency.” So I guess you can either say that at a minimum you saved your grandson significant discomfort, while at most you helped grow the family tree. To be honest, though, the discomfort issue is more relevant for me at the moment. I suspect that after reading the previous paragraph you may in the future force all your children and grandchildren to sign forms promising to never tell you, much less describe in detail, the purchases that resulted from your Christmas gifts to them. Nevertheless, I figured that such an explanation might be an interesting change from the typical “Hey Grandma, thanks for the dough” sort of thank you. I hope that you’re doing fabulously well. 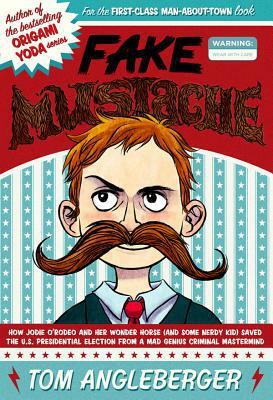 Simply put, Fake Mustache by Tom Angleberger is a book that grown-ups should be recommending to young readers. As a public service, I offer several suggestions to would be recommenders for doing just that. First, point out the book’s alternate title. Listed underneath the impressively mustachioed young man on the cover, it reads How Jodie O’Rodeo and Her Wonder Horse (and Some Nerdy Kid) Saved the U.S. Presidential Election from a Mad Genius Criminal Mastermind. Who doesn’t like a colorful cast of characters and high stakes? Second, you might point out to your targeted young reader that one of the book’s lessons is this: If ever presented with the opportunity to purchase a Heidelberg Handlebar Number Seven fake mustache along with a complimentary year’s supply of spirit gum from the Heidelberg Novelty Company, say no. Evil can lie in wait, even in an impressive mustache. Fourth, even though not given in the above list of products, one of the story's heroes uses a Nasal Gun enabling him to shoot fake boogers out his nose. And it’s every bit as gross as it should be. Fifth, it’s by Tom Angleberger, the guy behind The Strange Case of Origami Yoda. You’ve read Origami Yoda, right? And finally, some reasons for the recommenders themselves. Beyond the absurdity and hilarity in the first four reasons, Fake Mustache contains grown-ups worthy of a Roald Dahl story, the action pace of an Alex Rider adventure, ordinary kids with extraordinary accomplishments, and a sequel-ready ending. Kids will love it.